The Reserve Bank of India (RBI) is India’s central banking institution, which controls the monetary policy of the Indian rupee. 3 What was Hilton Yong Commission? 4 In which year, Banking Regulation Act was passed? 6 Where was the original headquarters of RBI? 8.1.1 1. Which banks are insured by the DICGC? 8.1.2 2. What does the DIGCG insure? 8.1.3 3. What is the maximum deposit amount insured by the DICGC? 8.1.4 4. Does the DICGC insure just the principal on an account or both principal & accrued interest? Recommended by Hilton Young Commission(1926). Established on April 1, 1935 in accordance with the provisions of the Reserve Bank of India Act, 1934. The Central Office was initially established in Calcutta but was permanently moved to Mumbai in 1937. Prior to establishment of RBI, the functions of a central bank were virtually being done by the Imperial Bank of India. RBI started its operations from April 1, 1935. It was established via the RBI Act 1934, so it is also known as a statutory body. RBI did not start as a Government owned bank but as privately held bank without major government ownership. It started with a Share Capital of Rs. 5 Crore, divided into shares of Rs. 100 each fully paid up. In the beginning, this entire capital was owned by private shareholders. After independence, the government passed Reserve Bank(Transfer to Public Ownership) Act, 1948 and took over RBI from private shareholders after paying appropriate compensation. Thus, nationalisation of RBI took place in 1949 and from January 1, 1949, RBI started as a government owned bank. Note : RBI was also the central bank for two other countries. It played the role of Central Bank of Pakistan till June 1948 and the Central Bank of Burma(Myanmar) till April 1947. The East India Company Double Mohur, with the sketch of the Lion and Palm Tree, was found most suitable; however, it was decided to replace the lion by the tiger, the latter being regarded as the more characteristic animal of India. The Board on February 23, 1935, approved the design of the seal. It was formed on April 1, 1935 as a private entity, but is a government entity now. Nationalization of the central bank did not happen till 1949. What was Hilton Yong Commission? The bank was set up based on the recommendations of the 1926 Royal Commission on Indian Currency and Finance , also known as the Hilton-Young Commission. In which year, Banking Regulation Act was passed? Immediately after the independence, the Government of India came up with the Banking Companies Act 1949. This act was later changed to Banking Regulation(Amendment) Act of 1965 gave extensive powers to the Reserve Bank of India as India’s central banking authority. 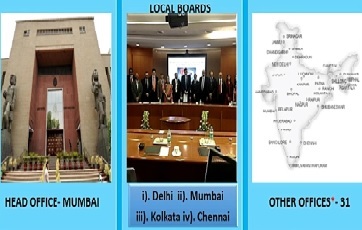 As per RBI website, 19 REGIONAL OFFICES, 9 SUB OFFICES and 3 OTHER OFFICES. Where was the original headquarters of RBI? Original headquarter of RBI was on Kolkata, but in 1937, was shifted to Shahid Bhagat Singh Marg, Mumbai. There are 21 board of director. Urjit Ravindra Patel is an Indian economist, who is currently serving as Governor[24th] of the Reserve Bank of India since September 2016. 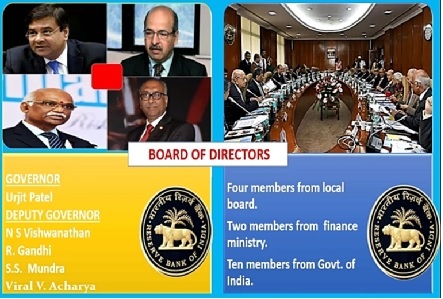 Previously, as an RBI deputy governor, he looked after monetary policy, economic policy research, statistics and information management, deposit insurance, communication and Right to Information. Appointed by the Narendra Modi government, Patel succeeded Raghuram Rajan as RBI governor on 4 September 2016. The first woman to become the deputy governor of RBI is K. J. Udeshi. She was appointed in 2003. In Swachh Survekshan-2017, 434 cities and all the state capitals were ranked. Indore had emerged as the cleanest city. 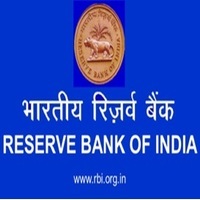 There are three subsidiary of Reserve Bank of India. 1. Which banks are insured by the DICGC? Commercial Banks : All Commercial banks including branches of foreign banks functioning in India, local area banks & regional rural banks are insured by the DIGCG. 2. What does the DIGCG insure? 3. 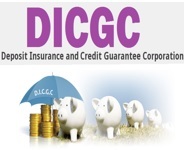 What is the maximum deposit amount insured by the DICGC? Each depositor in a bank is insured upto a maximum of Rs. 1,00,000(Rupee One Lakh) for both principal & interest amount held by him in the same capacity. 4. Does the DICGC insure just the principal on an account or both principal & accrued interest? The DICGC insures principal & interest upto a maximum amount of Rs. One lakh. 1. National Hosing Bank(NHB) , a wholly owned subsidiary of Reserve Bank of India(RBI), was set up on 9 July 1988 under the National Housing Bank Act, 1987. 1. It is one of the subsidiaries of Reserve Bank of India. 4. It has two presses one in Mysore and Salboni.